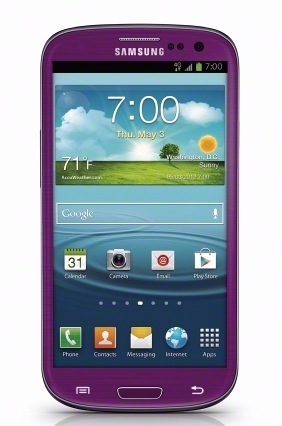 This morning, Sprint and Samsung announced an exclusive new color for the Galaxy S3 called, amethyst purple. Oooh, pretty. It’s the same S3, 4.8″ display, 1.5GHz dual-core processor, NFC, and that 2,100mAh battery. According to the press release it is available starting today for $99 on a new to year agreement, so if you like purple and you like last year’s tech, head to Sprint right now.